With our team of scientists, engineers and statisticians with many years of national and international experience in clinical, preclinical and technical areas we can support Your company in performing Clinical Evaluation, the assessment and analysis of clinical data pertaining to a medical device in order to verify the clinical safety and performance of the device. Clinical evaluation is an ongoing process conducted throughout the life cycle of a medical device. 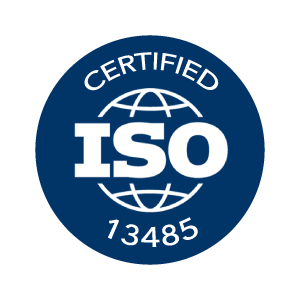 When placing a medical device on the market the manufacturer must have demonstrated through the use of appropriate conformity assessment procedures that the device complies with the relevant Essential Requirementscovering safety and performance. Generally, from a clinical perspective, it is expected that the manufacturer has demonstrated the device achieves its intended performance during normal conditions of use and that the known and foreseeable risks, and any adverse events, are minimised and acceptable when weighed against the benefits of the intended performance, and that any claims made about the device’s performance and safety (e.g. product labelling and instructions for use) are supported by suitable evidence. • analysis of the individual data sets, whereby conclusions are reached about the performance, safety and presentational aspects (labelling, patient information and instructions for use) of the device. 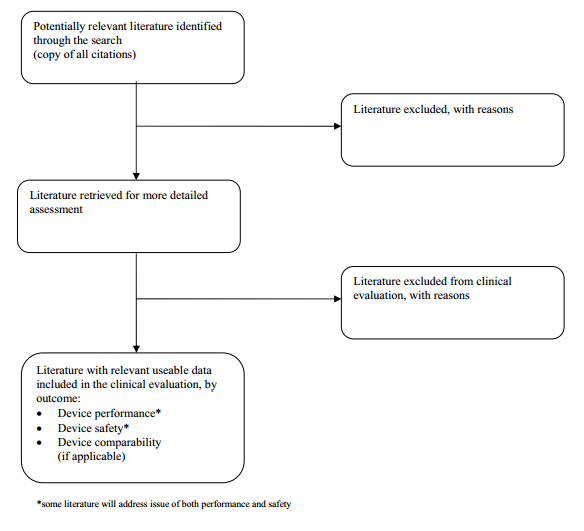 Literature searching can be used to identify published clinical data that is not in the possession of the manufacturer that may assist the manufacturer to establish acceptable performance and safety of a medical device. The data generated through literature searching may relate directly to the device in question (e.g. reports of clinical investigations of the device in question that have been performed by third parties, adverse event reports) or to equivalent devices. 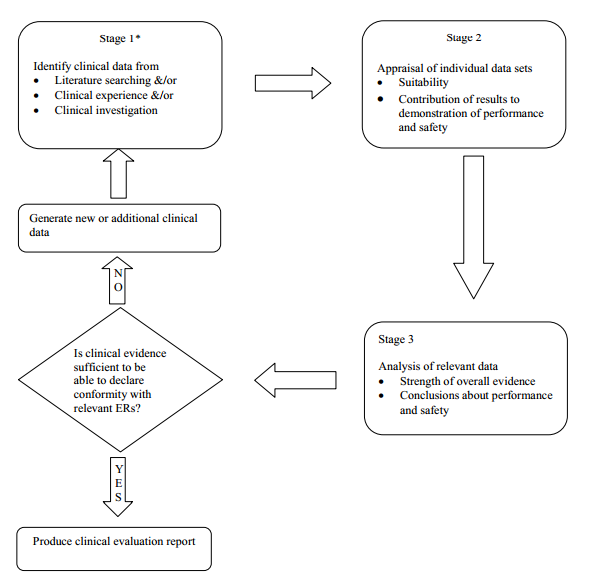 These types of clinical data are generated through clinical use that is outside the conduct of clinical investigations and may relate to either the device in question or equivalent devices. • details of clinically relevant field corrective actions (e.g. recalls, notifications, hazard alerts). Clinical investigations are generally expected to be designed, conducted and reported in accordance with EN ISO 14155, Parts 1 and 2, Clinical Investigations of Medical Devices for Human Subjects, or to a comparable standard, and in compliance with local regulations. It is recognised that where manufacturers source clinical investigation data reported in the scientific literature (i.e. investigations of either the device in question or equivalent devices that are undertaken by a third party), the documentation readily available to the manufacture for inclusion in the clinical evaluation is likely to be no more than the published paper itself. The product literature and instructions for use should be reviewed to ensure they are consistent with the data and that all the hazards and other clinically relevant information have been identified appropriately.